Early Friday morning, a traffic stop turned tragic when gunfire broke out. Shortly before 2 a.m., officers in St. Petersburg, Florida, stopped a car, but the suspect quickly fled from the scene. 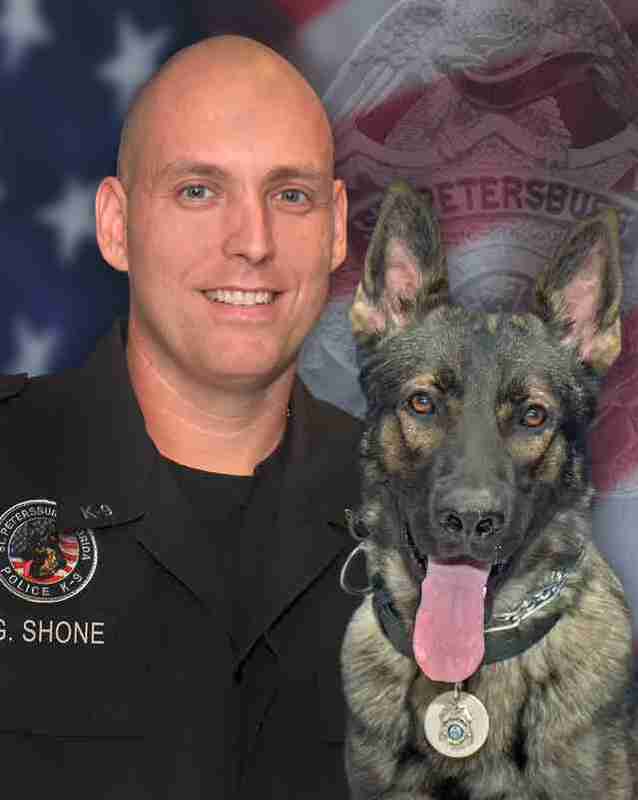 K9 Officer Greg Shone and his partner Titan, a 4-and-a-half-year-old Belgian Malinois, began to search the area when they found the suspect and a bullet felled the dog. 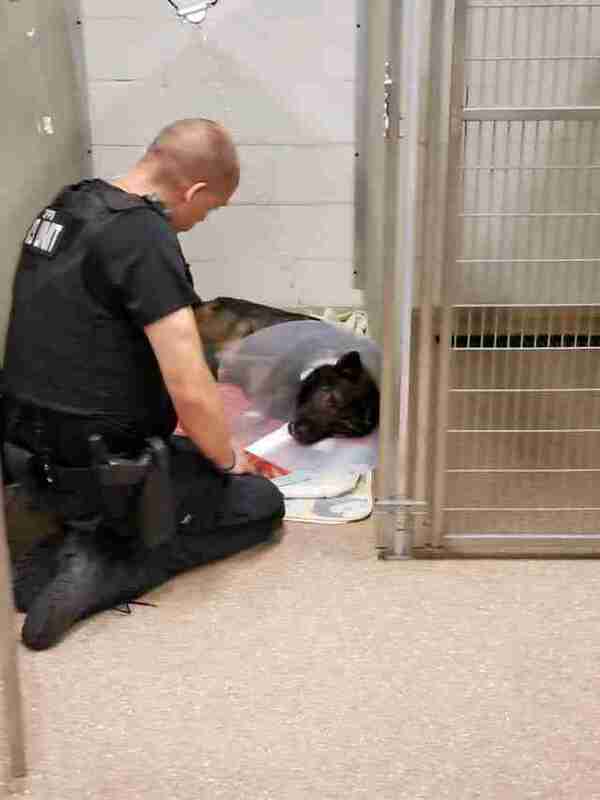 Officer Shone rushed his injured partner to the hospital, where Titan was prepped for surgery. Throughout the ordeal, Shone never left his partner’s side. The two do everything together — and this twist of fate was not going to separate them. Officer Shone and Titan have served in the K9 unit for the past three years, living and working together. However, they had never faced a challenge like this before. 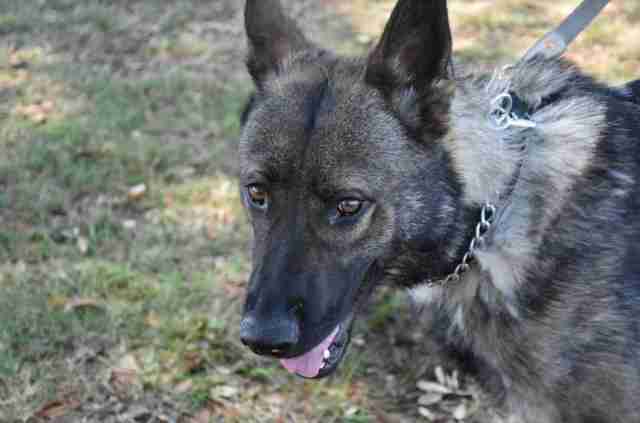 While other K9s on the squad have been injured in the line of duty, Titan is the first to ever take a bullet. While Titan recovers from surgery on his leg, Shone is keeping watch over his beloved partner. “He’s very concerned about his dog,” Bentil said. 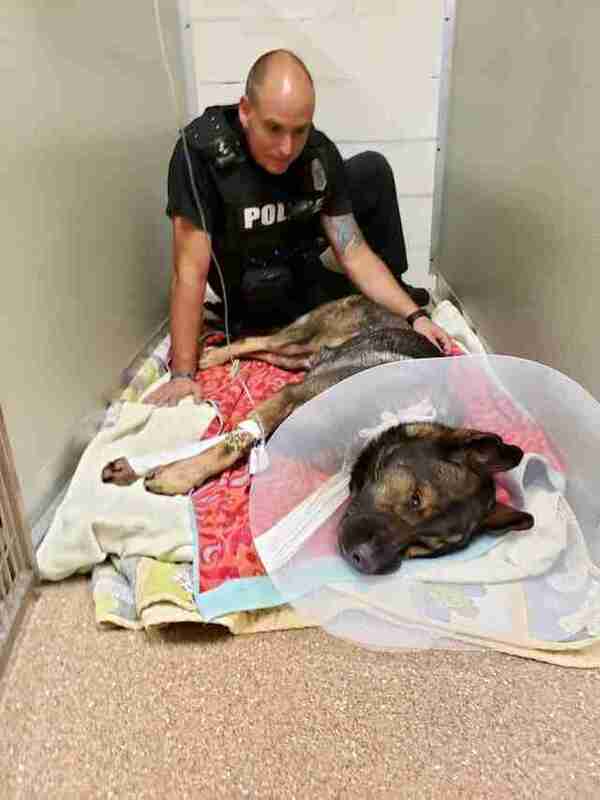 And everyone on the force is wishing Titan a speedy recovery. There is no doubt Titan is happy to have his best friend there by his side while he heals. Their bond truly is unbreakable.